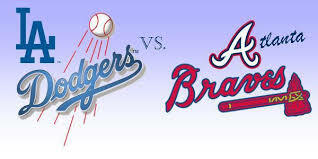 Please bring your family and friends to enjoy a Sunday at the ballpark cheering on the LA Dodgers in their game against the Atlanta Braves on July 23, 2017. HCSC has reserved a group of seats in the Reserve MVP section of the stadium. Don't miss this chance to meet fellow alums in the LA area while watching America's favorite pastime! This event is sold out. Thanks for a great response! Here is a view from one of the Reserve MVP sections. Hosted by Ben Zauzmer '15 (Analyst, Dodger Baseball Operations, Research and Development). Cost: Members, $31; Non-members, $41 (HCSC has 20 tickets reserved in the Reserve MVP section at the stadium which is the deck above the press box and below the top deck). Please purchase the tickets through our website and then the tickets will be distributed electronically to you in early July.